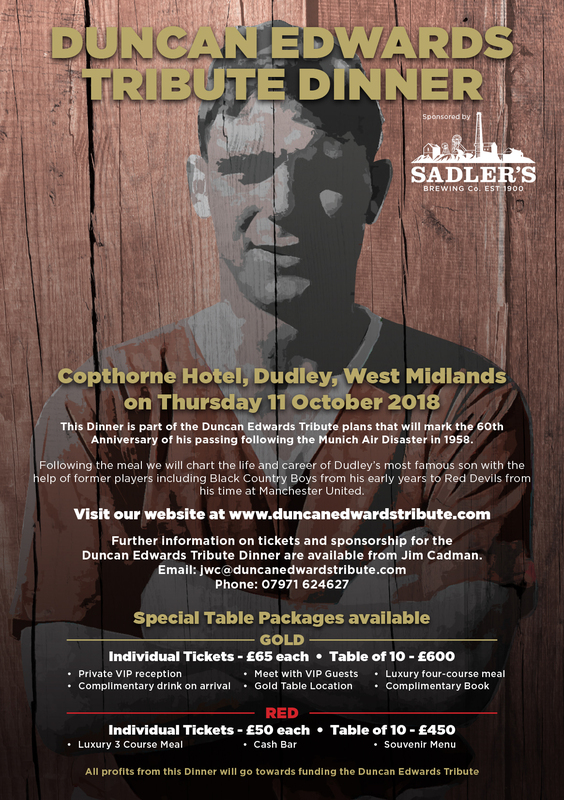 Sadler’s Brewery have announced that they will be sponsoring the Duncan Edwards 60th Anniversary Tribute Dinner at the Copthorne Hotel on Thursday 11 October 2018. 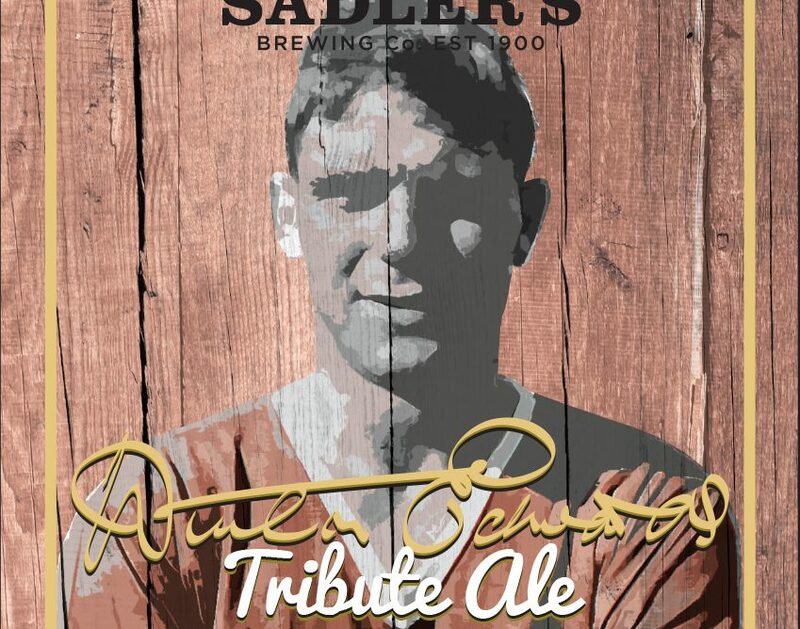 ‘Although we are now based at our Craft Brewery in Lye, near Stourbridge our roots go back to 1900 when Nathanial Sadler opened the original Sadler’s Brewhouse in Oldbury. 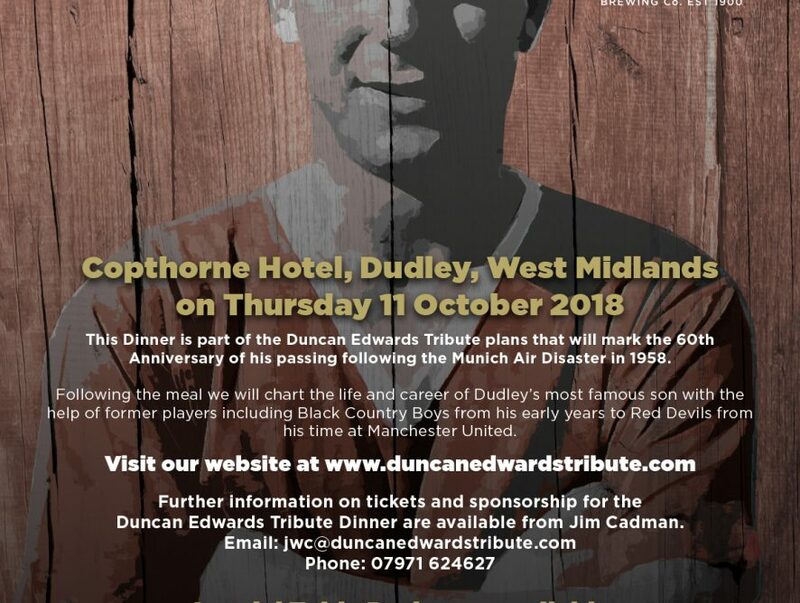 Copthorne Merry Hill are extremely honoured to be hosting the Duncan Edwards tribute dinner in October 2018. 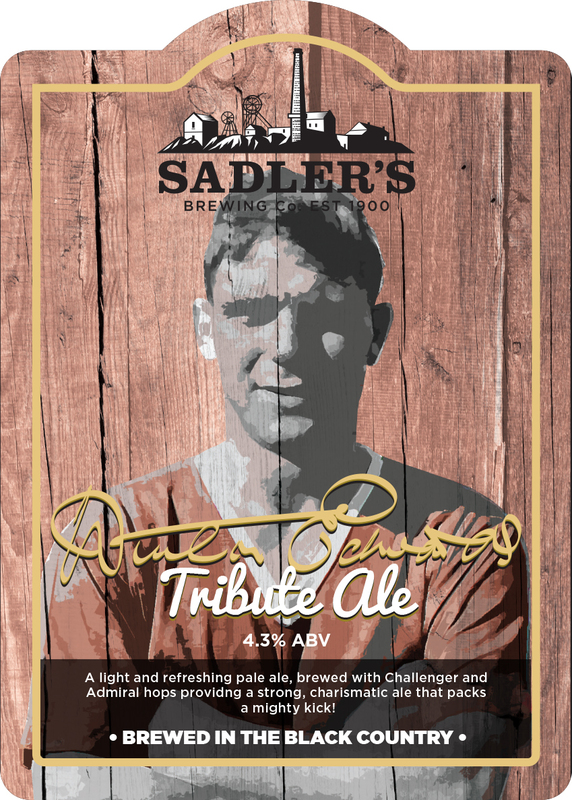 We pride ourselves on being an integral part of the local community and having the opportunity to be involved in remembering the life of a local legend is a real privilege. 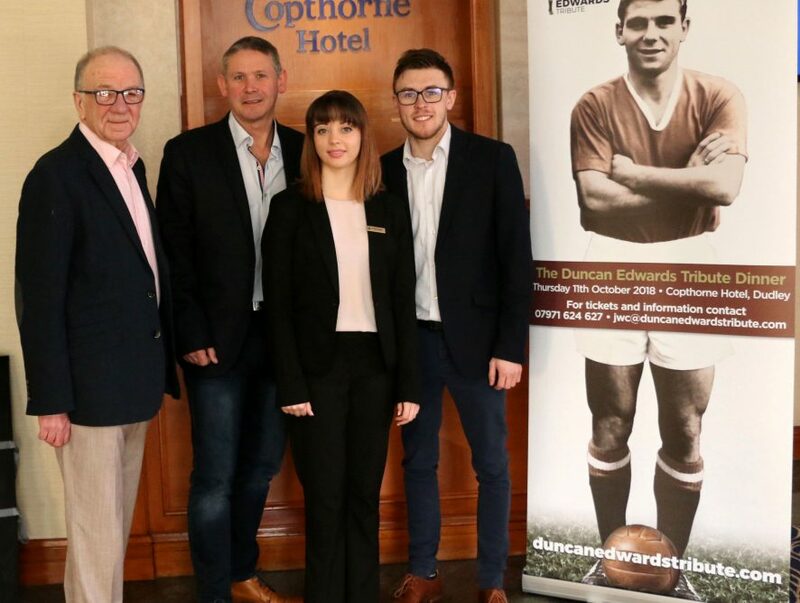 In 2001 the hotel hosted Duncan Edwards 65th Birthday dinner that was also organised by Jim Cadman. The guest of honour on the night was Duncan Edwards Mum, Sarah Ann and it was a very special evening indeed. 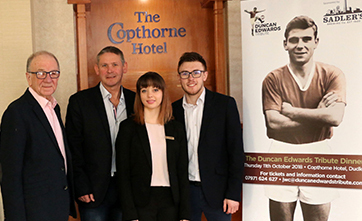 All of the Copthorne team are delighted to have been given the chance to be part of this event to commemorate Duncan Edwards, Dudley’s local hero. 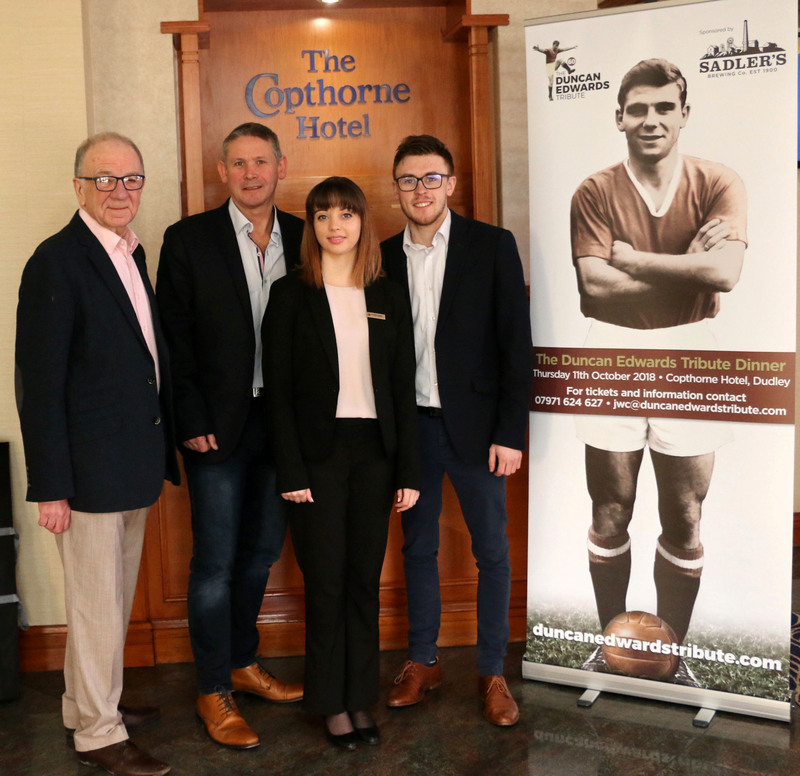 ‘We have been delighted with the support that we have received throughout the Black Country for the events and activities that make up the Duncan Edwards Tribute with the increasing level of support from the business community being particularly encouraging’.